Poverty is an issue facing countries around the globe, yet it is a multi-dimensional phenomenon caused by a variety of factors, differing from context with no linear chain of cause and effect. The occurrence and persistence of poverty is influenced by an interrelated web of economic, social, psychological, cultural, and political factors. 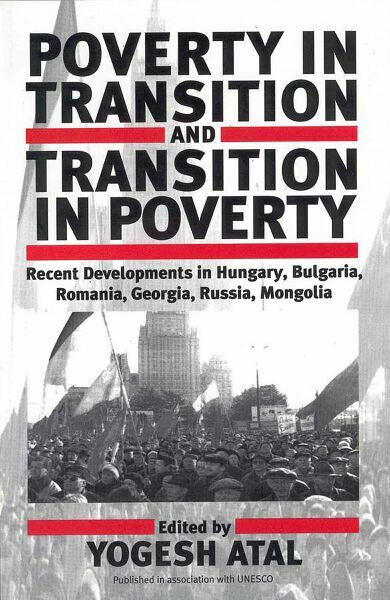 Focusing on countries-in-transition belonging to the former Soviet bloc where the existence of poverty was officially denied until the collapse of the Soviet Union, this volume examines the ways in which each country is dealing with its newly acknowledged and rapidly increasing poverty. The transition from socialism to democracy and market economies has proved more difficult and costly than anyone imagined. Scholars from the six countries examined here profile and evaluate current social policies and programs on poverty eradication and provide a comparative perspective that ensures that culturally specific solutions can be found in place of borrowed solutions from abroad - solutions which have thus far ignored the cultural factor and have thus failed to deliver. Yogesh Atal, a social anthropologist by training, joined UNESCO as Regional Adviser in 1974 where he embarked on a long and distinguished career that led, in 1997, to him being promoted to Principal Director. He published numerous books on issues related to social development and the eradication of poverty and was nominated Man of the Year by the American Biographical Institute, awarded the Maharan Mewar Foundation Award, and the Albert Einstein International Academy Foundation's Cross of Merit. The Korean National Commission for UNESCO honored him with a Plaque of Gratitude in 1994. He is currently Director-General of the Indian Institute of Education, Pune, India.